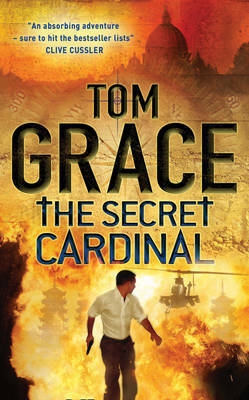 Fans of Tom Clancy and Jack Higgins will love this book. It starts off quite slowly but, by the time you are around one third of the way into it, you are hooked and the tension begins to rise. For once, the Roman Catholic Church is portrayed as the good guy and there are some very sincere and likeable characters in the book that put their own lives on the line for the sake of one other. The main hero of this story is ex-Navy SEAL Nolan Kilkenny. He, like central characters in similar books by other authors, has recently been through personal tragedy and gets involved with this mission in order to relieve some of his pain - meeting God and making peace with himself along the way. He journeys to Rome after being asked to work in the Vatican library, but is soon told he is actually needed for something far more dangerous. Kilkenny and a crack team of CIA experts end up going to China, at the specific request of the pope, to secretly rescue an ageing bishop who has been imprisoned for his faith for the last 30 or so years. Bishop Yin is a perfect example of living your life for Christ whatever your circumstances and is a true hero to his flock: the oppressed Chinese Catholics that refuse to give up their beliefs and suffer torture, imprisonment and execution as a result. As if liberating Yin from a high-security Chinese prison wasn't difficult enough, matters are made worse by the death of the ailing pope and the fact that his successor, once chosen, may not support the rescue plan. The pressure really starts to mount as Kilkenny and his team now have just two weeks to get Yin out of China. Then the Chinese authorities somehow find out what is happening and the going really gets rough. If you enjoy reading high-energy rescue stories with interesting mixtures of fact and fiction, good overcoming evil and excellent non-stop thrills right to the very last page then this is the book for you!